Commercial and Residential Asphalt Paving in Richmond VA, Chesterfield VA and more! We offer Residential and commercial paving services. 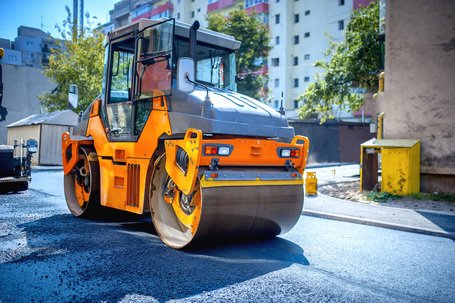 Established in 1995, RVA Paving contractors is based in Midlothian VA and has been helping customers inRichmond Virginia, Henrico VA, Chesterfield VA, and Goochland VA, Dinwiddie, Prince George and more for years. We pride ourselves on creating Asphalt driveways, parking lots and other paved surfaces that will stand the test of weather and time. If you need a paving company that will do the job right the FIRST time then you have come to the right place. We offer a 100% satisfaction guarantee. We want to make sure that our customers are completely satisfied and hope that you will spread the word about our services! We offer our services to both residential paving and commercial paving clients. No job is too big or too small for RVA Paving! Whether you need repair work for your company's parking lot or are looking to pave y﻿our personal driveway, we are here to help! If you don't see what you need on the list, please feel free to contact us and we can discuss what it will take to fulfill your specific paving needs! We will work hard to be your local Contractor! There's no need to subject your employees and/or your family members to driving their cars on damaged pavement. Help them cut down on the wear and tear of their vehicle! Repair that blacktop now to prevent insurance claims in the future. Call us today for a free quote! Feel free to fill out the form on the right and we will be in touch with you concerning your paving needs or questions as soon as possible! RVA Paving can get the job done! Don't hesitate to contact us! We're looking forward to hearing from you and are ready to help. If you are a fellow contractor we hope to run into you at the paving conference or see you on Contractor Talk.